Despite the superior comfort and light weight of carbon, alloy takes the win on other fronts such as price, environmental impact, and safety. 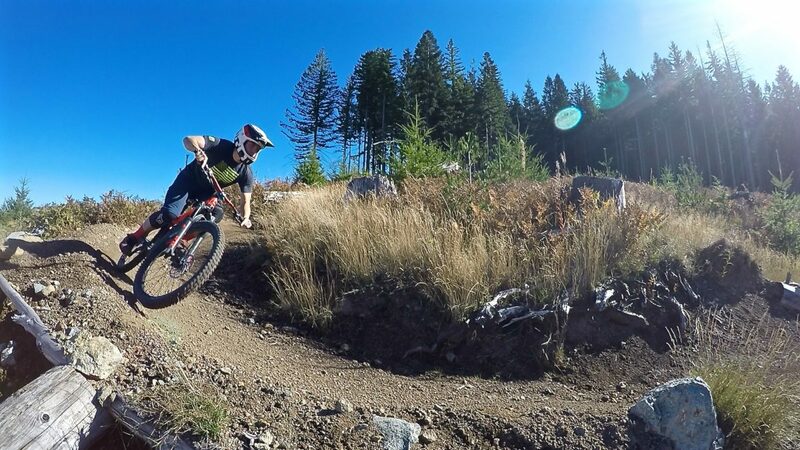 As such, there’s still a place for heavy, head-bangin’ metal in mountain biking, both now and in the foreseeable future. 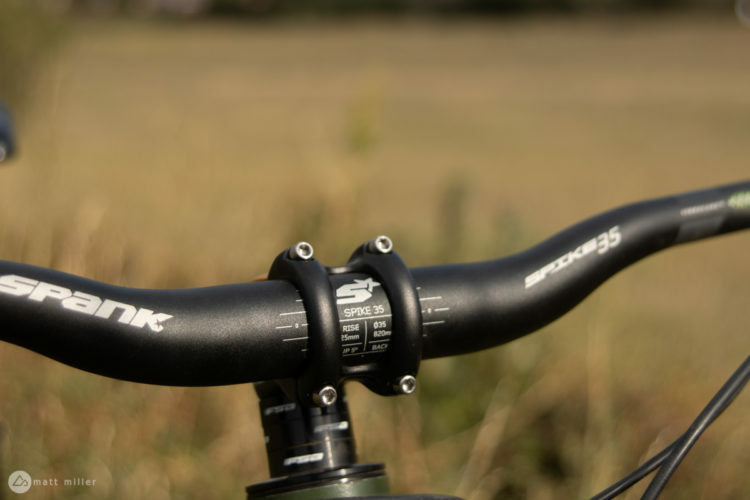 Since the introduction of Vibrocore into their handlebars (circa 2014), SPANK Industries has all but obliterated the stark contrast in bar feel between the uniquely different materials. 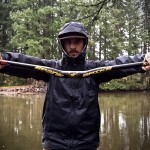 SPANK currently offers Vibrocore in their Spike 800 Race bar, Spike 777 FR bar, and a bar I had the opportunity to review, the Oozy Trail 760 Vibrocore. To complement the Oozy bar, I paired it with a 50mm SPANK Spike Race stem. 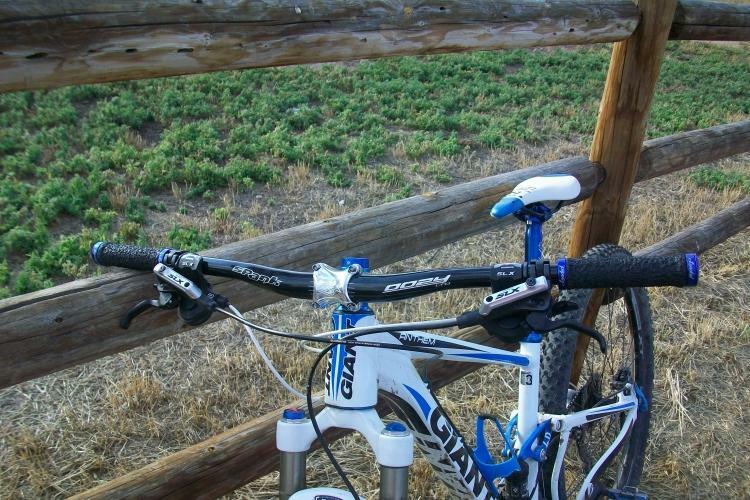 Filling the inside of the bar is a “complex foam core of precisely controlled density” which reduces trail-induced vibrations transmitted from bar to body. Vibrocore also increases bar stiffness and durability. To me, it actually sounds like SPANK is offering everything a carbon bar does minus the bank-breaking price tag. 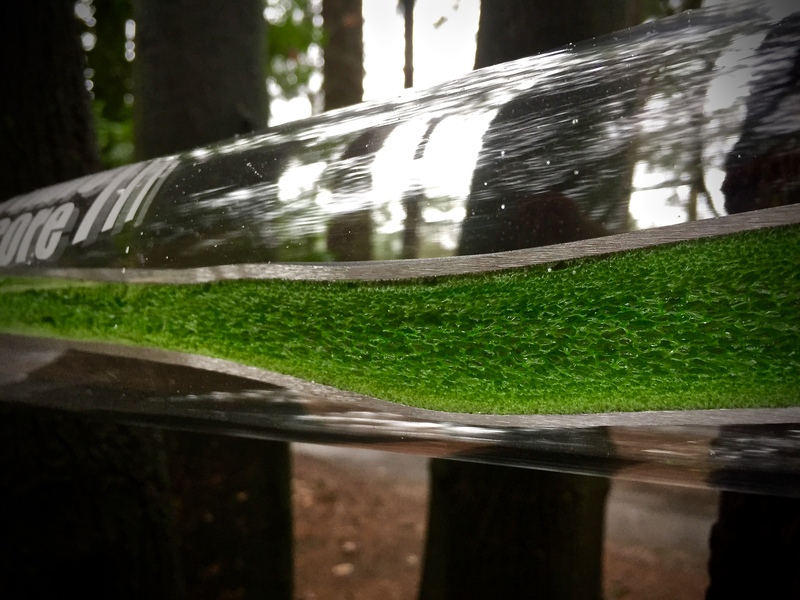 In fact, SPANK Industries has upped the ante on carbon bars by not only marketing Vibrocore as a carbon alternative, but proving the green filler is now the carbon killer! SPANK has produced a slick 15-page analysis explaining how they arrived at such a conclusion. I’ve included the condensed version below. 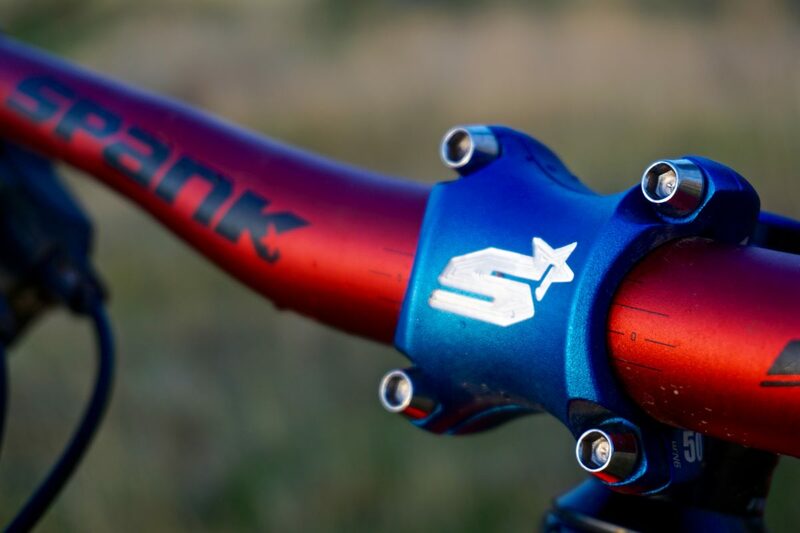 The Oozy product line from SPANK is optimized for all-mountain, enduro, and aggro trail riding (whatever that is). 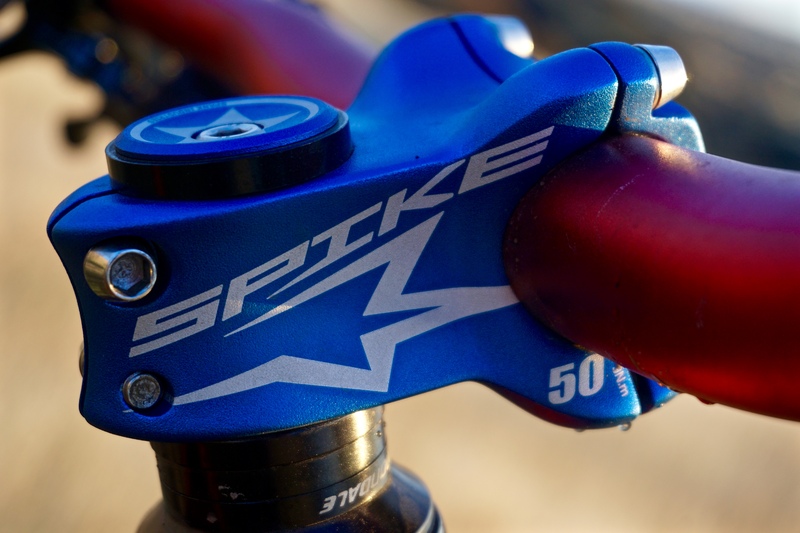 It’s a little lighter, slightly narrower, and less burly than the DH-ready Spike products. The Oozy bar provides modest geometry, including a 4º upsweep, 6º backsweep, your choice between a 5 or 15mm rise, and a 760mm width. 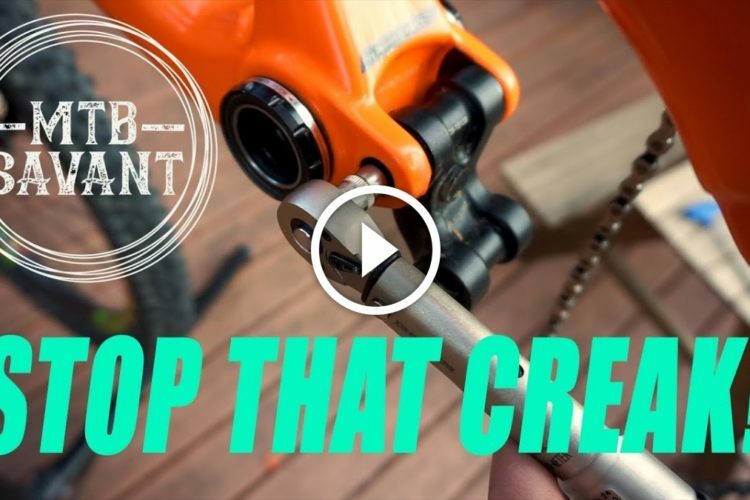 SPANK only offers a 31.8mm clamp diameter on all of their bars (more on that below). I should also mention that the finishing touches — a shot peen anodization and brilliant color choices — on the Oozy bar are nothing short of stunning. One vibration cycle. Graphs by SPANK Industries. Vibration is a measure of frequency (how often) and amplitude (how “high”). When graphed, a vibration cycle looks like a sine wave with a high and low point. The amount of vibrational energy experienced during mountain biking falls within a range that puts riders at risk for hand/arm numbness and fatigue, and arm pump. While alloy, steel, and carbon all reduce vibration (damp), they also resonate, which amplifies vibration and produces higher than normal energy transmission to the hand and arm–not good. Resonance depends on the material, geometry, and construction of the bar. In terms of damping and resonance patterns, traditional alloy (31.8mm), the 35mm bar standard, carbon fiber, and Vibrocore are very similar. They all damp at very high and very low frequencies while resonating within a similar frequency range. All bars damp and resonate within a similar range of frequency. Traditional 31.8mm alloy: in resonance range, this bar shows the least effective damping. 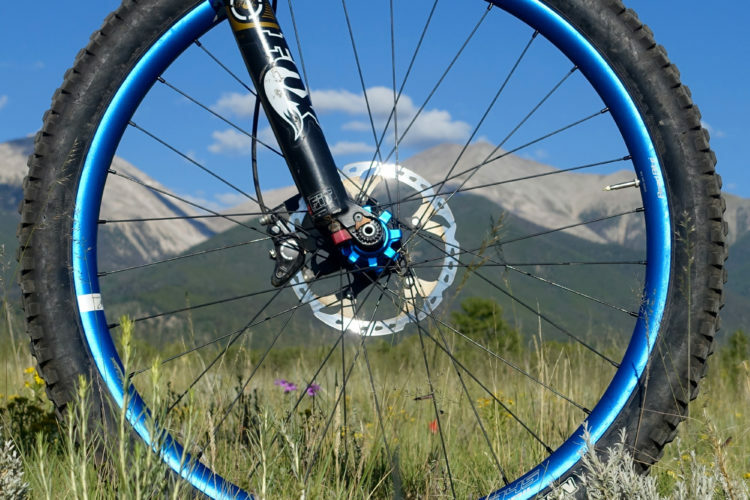 Carbon fiber: although carbon damping is better than alloy within the resonance range, carbon resonates more often at frequencies commonly found in mountain biking. 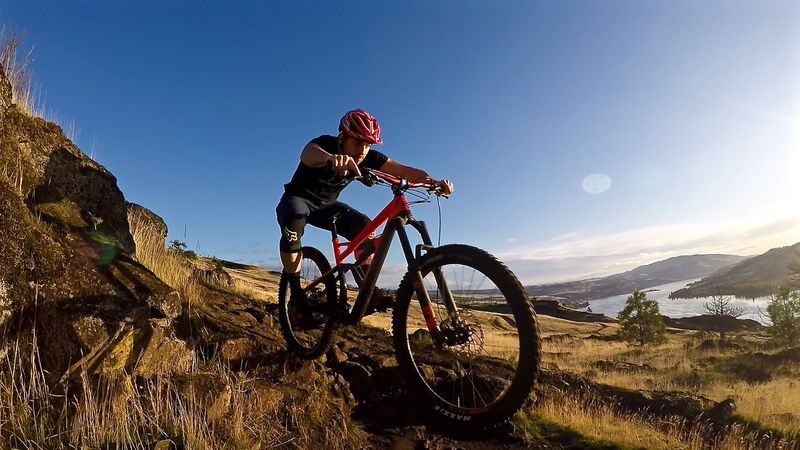 In other words, the well-known damping characteristics of carbon may overshadow evidence suggesting it’s not as effective since it resonates so much during mountain biking. 35mm bar clamp (alloy): 35mm alloy bars actually damp the least in the resonance range while also resonating at lower frequencies — the worst performers. 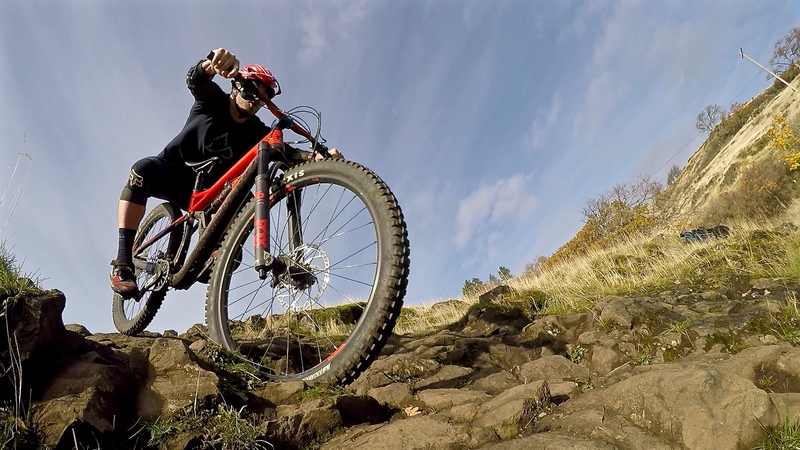 Vibrocore: in the resonance range, Vibrocore is better than the aforementioned at damping and also moves the resonance range to a frequency less common in mountain biking. “The combined effect is at least a 30% reduction in harmful vibrations transmitted to the hands and arms when compared to the above bar types,” according to SPANK. Results showing Vibrocore demonstrates the least amount of amplitude in resonance range. Of course, such a “study” has obvious limitations. Nevermind it was probably funded by, designed, and carried out with total SPANK control, but there was no mention of actual test bars used. 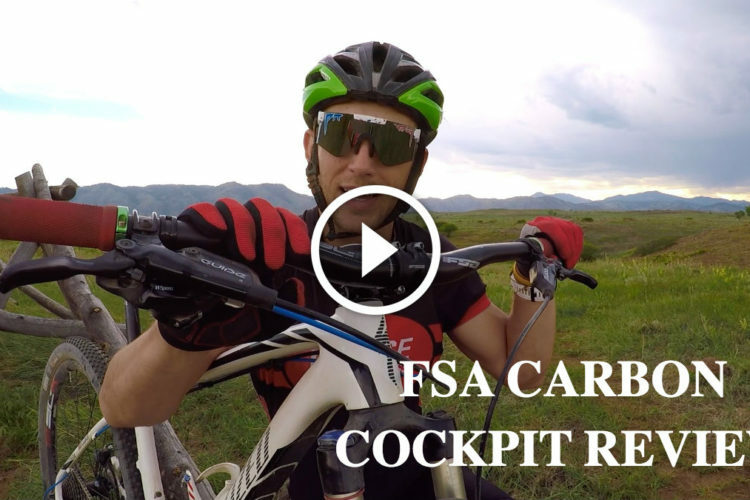 Nevertheless, I applaud an MTB component manufacturer for going the long mile, making available actual test results to the public instead of simply feeding us marketing speak. 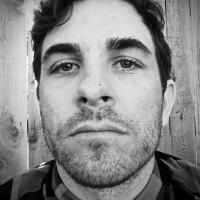 Still, in the world of extreme mountainous cycling, no amount of data can overcome the vague and nuanced conclusions of an amateur rider/writer, right? 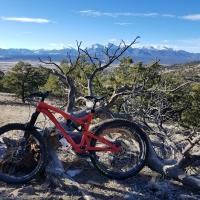 Surprisingly, while riding I wasn’t thinking about the ins and outs of resonance, frequency, and amplitude as much as I was about how generally awesome this bar is! In the interest of full disclosure, two years ago I published my thoughts in a full review of the SPANK Spike 800 Race bar with Vibrocore. Before the Spike, I was using a 31.8mm alloy bar. After the Spike, I went with a 31.8mm carbon ENVE bar. As a side, my backup bike came stock with a 35mm clamp alloy bar which was quickly replaced with a 35mm clamp carbon bar. So, here I am coming full circle with another Vibrocore — this time after having spent a significant amount of time on more types of bars than were included in the SPANK Vibrocore study. 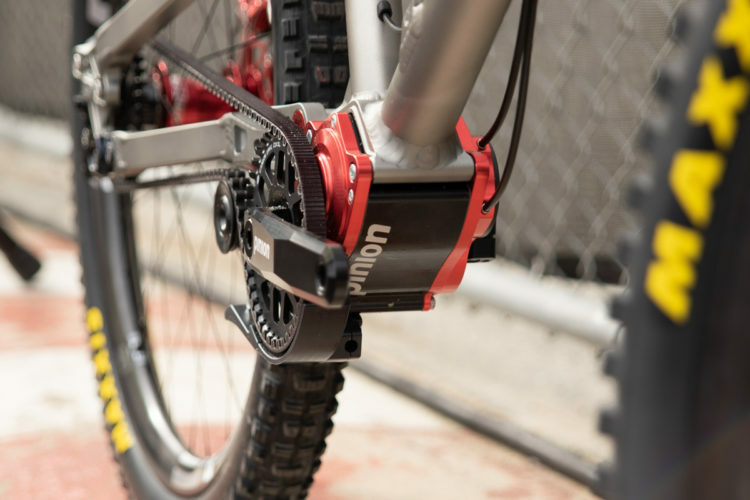 I will side with SPANK in that traditional 31.8mm alloy and 35mm alloy are the least effective in damping trail vibrations. I cannot, however, reconcile SPANK’s lab result that Vibrocore is better at damping than carbon and what I actually feel on the trail between the two materials. 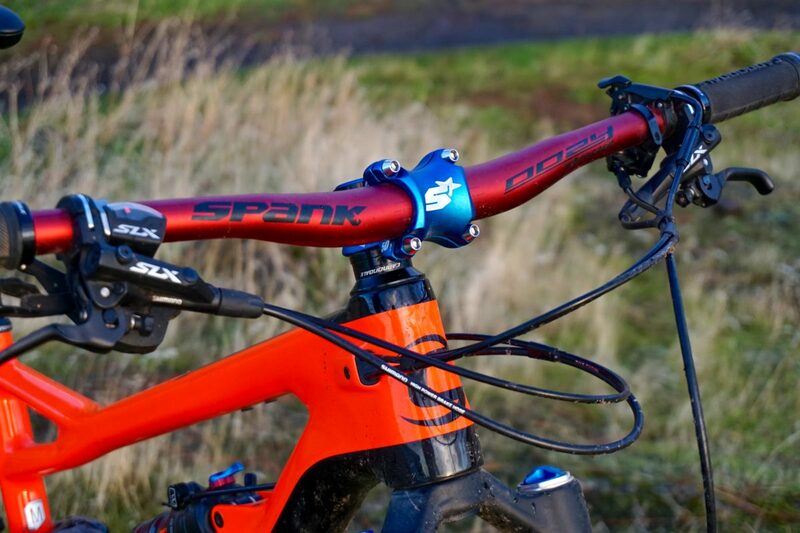 Unfortunately, SPANK does not disclose the brand of carbon bar used in their study. 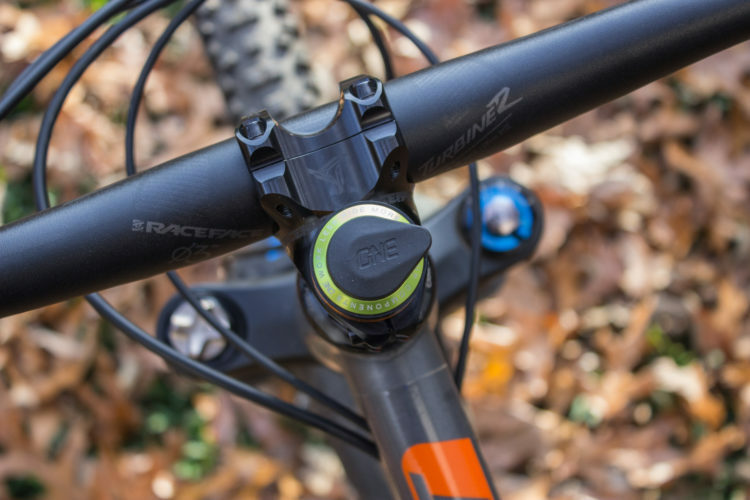 The Vibrocore definitely damps in a way that is, on the trail, distinguishable from other alloy bars. The added stiffness claims are also verifiable in the real world. In terms of durability, I’ve since moved the Spike Vibrocore bar to the bike of a close friend, and I can attest it looks as good as the day I unboxed it. My friend reports the Vibrocore has been a more than welcome feel for his tired and aging body. According to SPANK, injecting Vibrocore adds 25-30g to the weight of a traditional alloy bar. 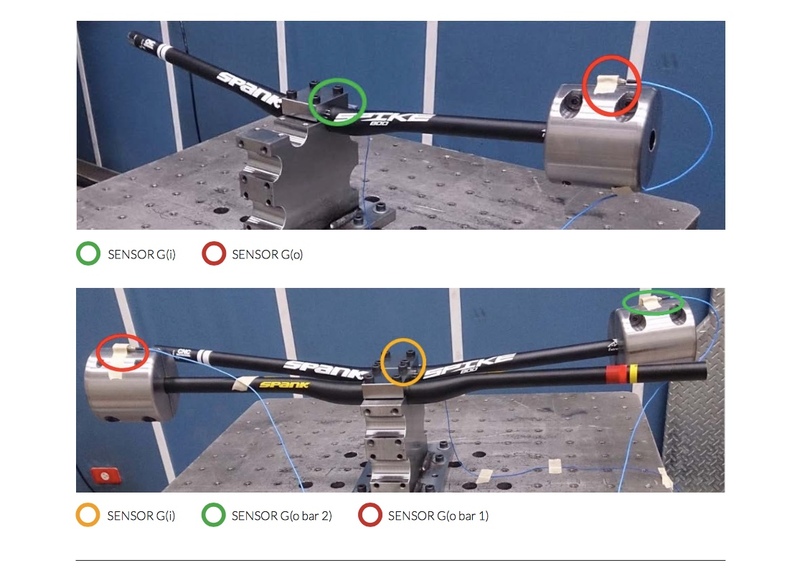 The 5g discrepancy is presumably due to the difference between the two rise options (5mm and 15mm) of the Oozy Trail. This weight claim is not only consistent, but may be selling SPANK short, as I found many traditional alloy bars with the same geometry to be the same weight as, or heavier than, the Vibrocore bar. So, depending on exactly which alloy bar you’re considering, the Vibrocore may be the better choice on weight alone. When compared to carbon, I was also surprised to see that the Vibrocore bar was only about 60-70g heavier than some carbon bars of similar geometry. Two years ago, when I researched the weight discrepancy between the Spike Vibrocore and carbon bars, the difference was around 115g. SPANK has probably since shaved weight in the alloy component or refined the density of Vibrocore. Despite limited evidence that Vibrocore is “better” than carbon, I’m of the opinion that, on the trail, a carbon bar excels in reducing vibration. However, Vibrocore is a really, really close second. And this is where the conversation gets more interesting. 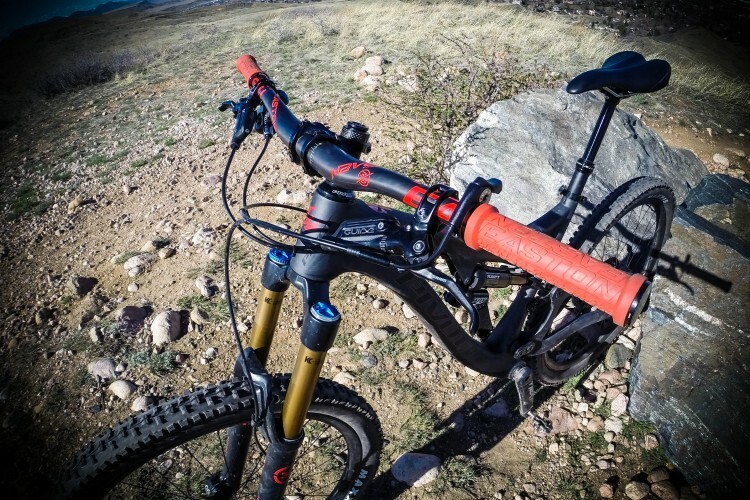 The Oozy Trail 760 Vibrocore costs around $70-100 less than a carbon bar. Add to that the Vibrocore’s lean weight, slight increase in stiffness, reduction in environmental impact, and the fact that it’ll bend before it cracks, and Vibrocore is definitely more enticing than traditional alloy and, for some, will be a better option than carbon. Thanks to SPANK Industries for sending me the Oozy Trail 760 Vibrocore bar for review! I’d like to own them just so I’d have an excuse to say “spank oozy”. Great stuff,I hope you are kidding with this ignorant comment,lol. I bought a set of these to help with an elbow issue I had all of last year. Just got my first ride on them today and I was surprised how they feel compared to the Renthal Fatbar Lite they replaced. Time will tell if they help with my elbow, but they do seem to do as advertised. I’ve owned these bars and just went to Nukeproof Horizon carbon bars. The Spanks were actually more than the Nukeproof bars. Also, the Nukeproof carbon bars absorb far more vibration than the Spank bars did.